Enoron constantly aims to enhance the level of control, security and productivity. 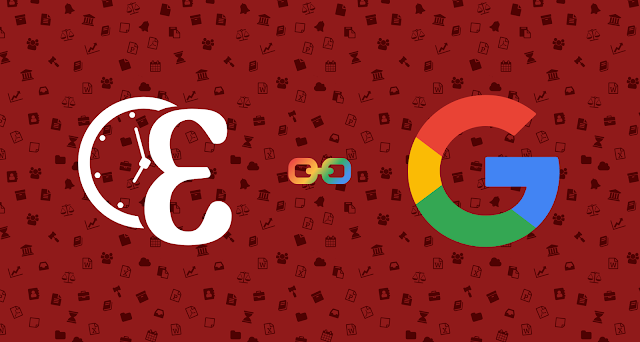 We are excited to announce a major update to the system – comprehensive Google integration. Once connected to Google from your Enoron account, files (docs, sheets and slides) along with private and network calendars are constantly kept in sync. Enoron handles the organisation of all clients, matters, documents and calendar entries automatically. These files (Matters, Clients, Other) can be accessed from Google Drive directly within the Enoron folder on initialisation – neatly organised into folders and subfolders. This solves three purposes – data backup & recovery, improved remote access and enhanced organisation. Sharing and permissions are easy to manage, with adjustable read/write access for members of your network(s). Automated sharing means members of your networks are able to stay on track together as and when updates are made. Changes to statuses, networks, users, documents and deadlines are seamlessly shared with your team. Using the Google Drive client for Mac or Windows also means your Enoron files can be always be accessed when offline. As always, we listen to our clients and would be very grateful for any feedback around features and functionality, feel free to reach us at enoron.com/contactus. - How do I keep my files and folders organized in Google Drive? - How do I share my files and folders with my colleagues? - Can I attach files and documents from Google Drive to Deadlines and Tasks? - Can I sync Enoron’s Agenda & Deadlines with my Google Calendars?